Yesterday I putzed around in Photoshop — for those not in the know, I was a web designer for a living for 6+ years. On the same site as the Movie Mates competition, they had an "InvisiRen" contest, the deadline for which I missed, but oh well. Fabulous works there! 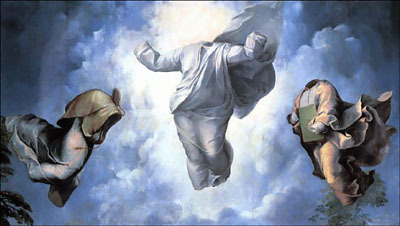 The brief was to take a work of art and make the bodies invisible. The clothes, jewelry, etc. would stay, but you had to make the people disappear. Now of course I had to try this, and what a challenge it was, drawing fabric and trees in the style of Raphael with nothing but an old clunky mouse. Below are the detail from the original, and my end result. Click on the images to see the full sized versions. 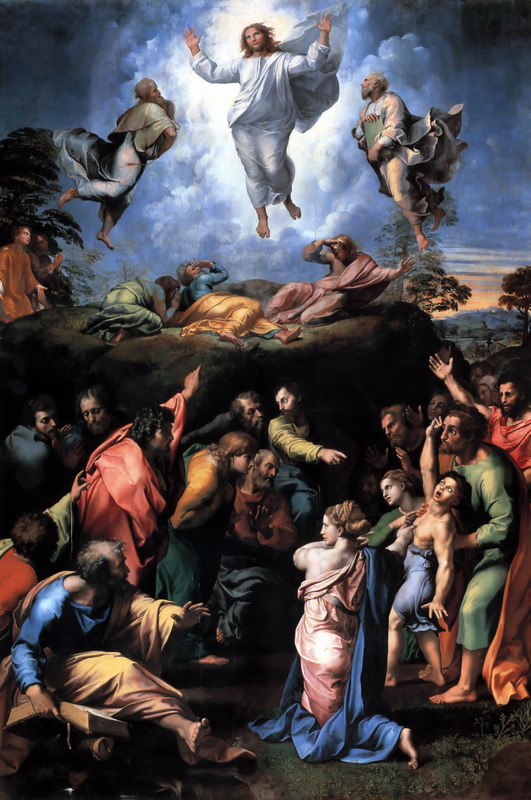 So Raphael's "Transfiguration" (c.1519) got a modern makeover. Occurred to me afterwards, that making Jesus disappear might trouble some people. Tee hee! (Hate mail read between 12 and 1 every other Tuesday). On the contest pages my favorites had to be the invisible Mona Lisa, the invisible Pietà (!) and the Princesse de Broglie — recreating that diaphanous veil took some insane skill. Make sure you visit the contest to see some really amazing works, 86 in total: InvisiRen 3.